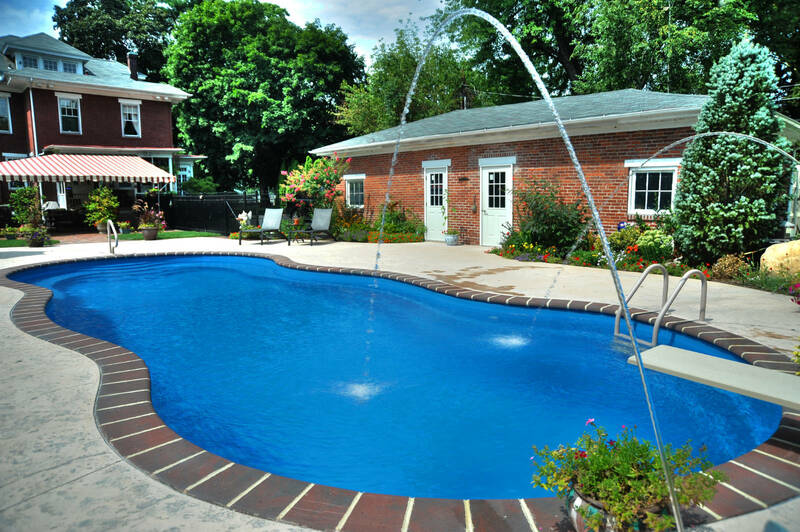 Make a splash this summer! 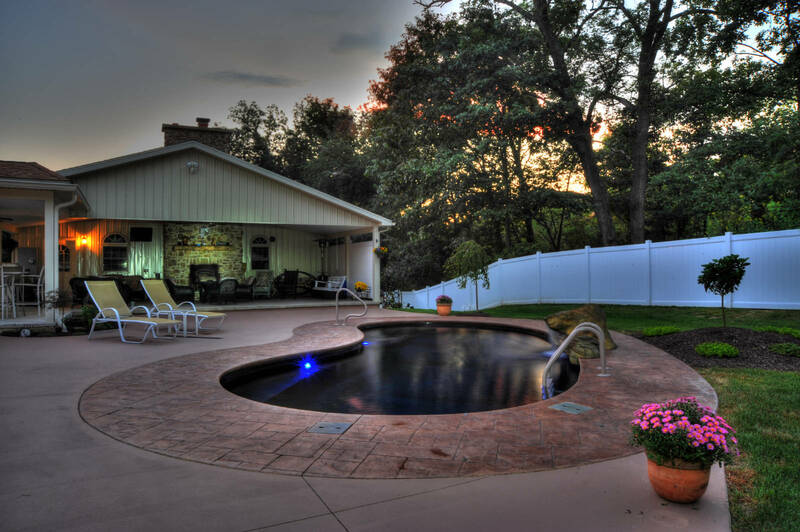 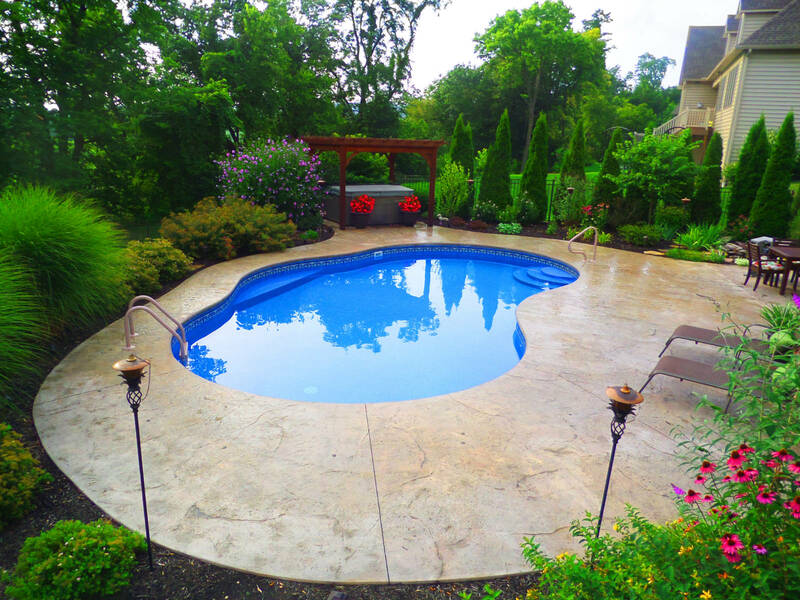 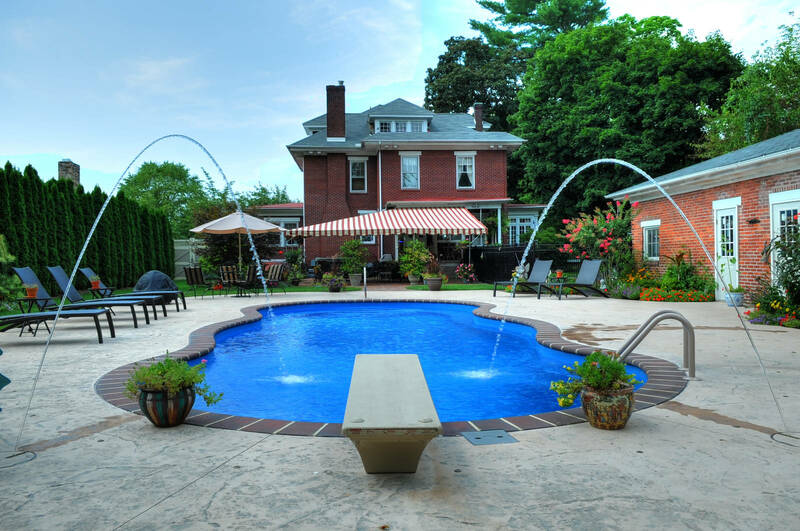 An in-ground pool can revolutionize the way you see and use your backyard. 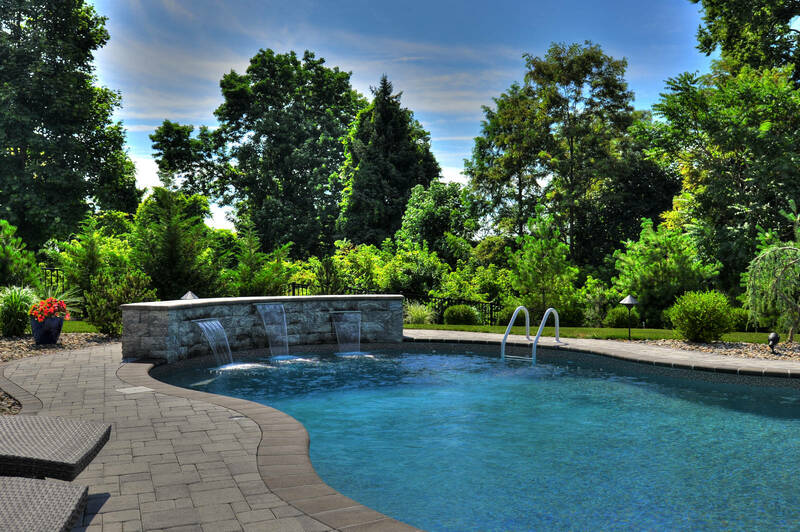 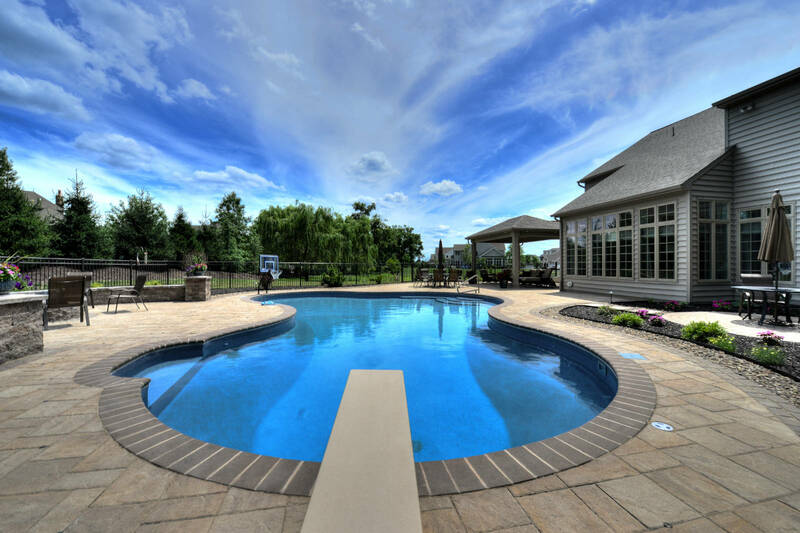 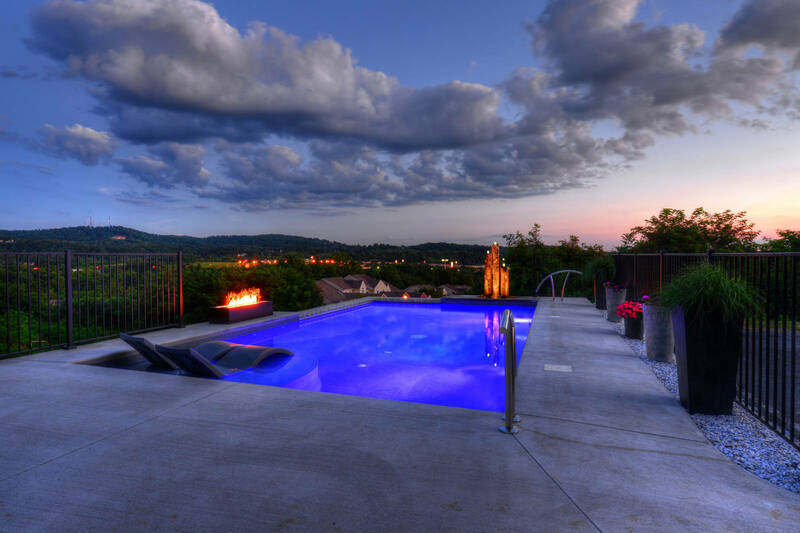 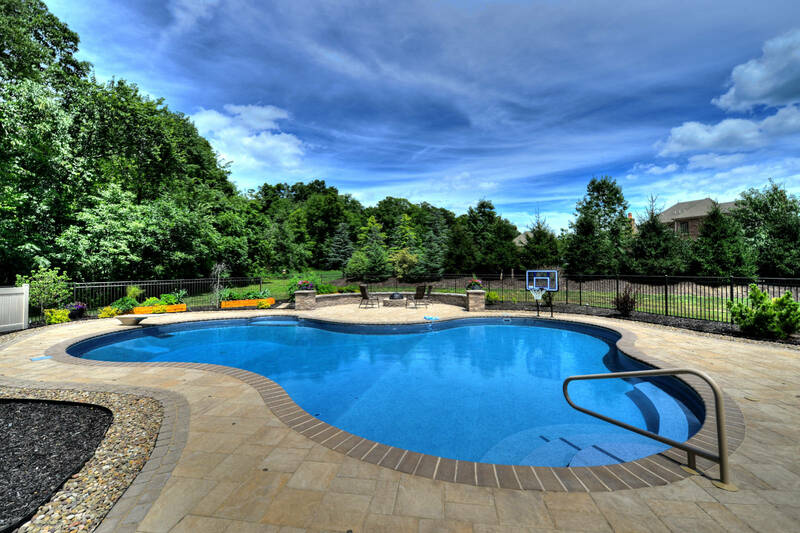 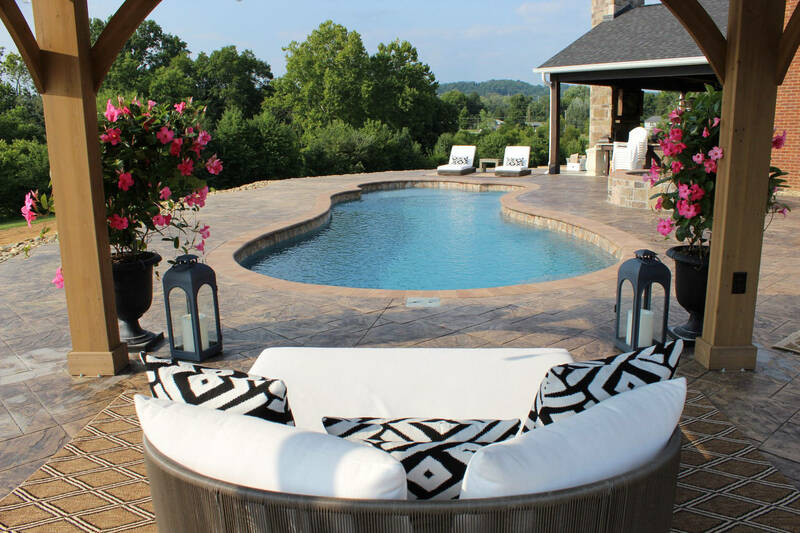 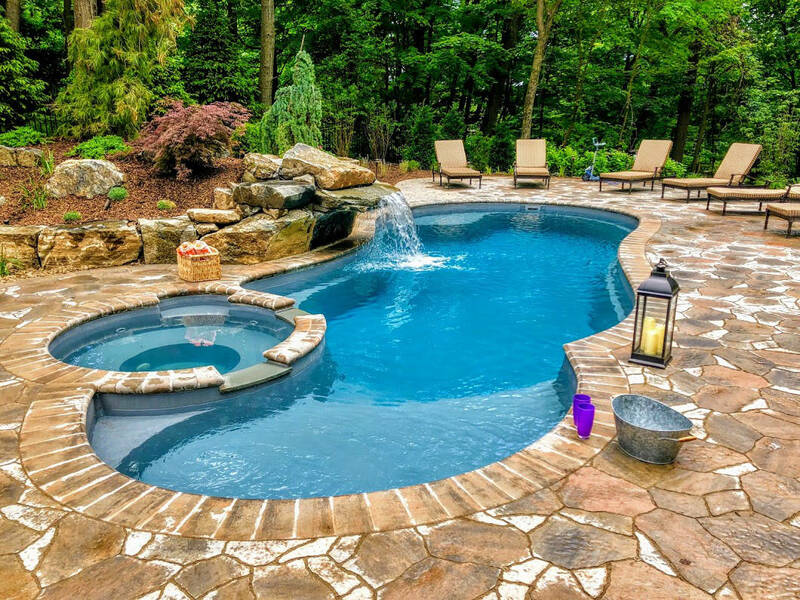 Our in-house designers design pools with one goal in mind: achieving your dream oasis. 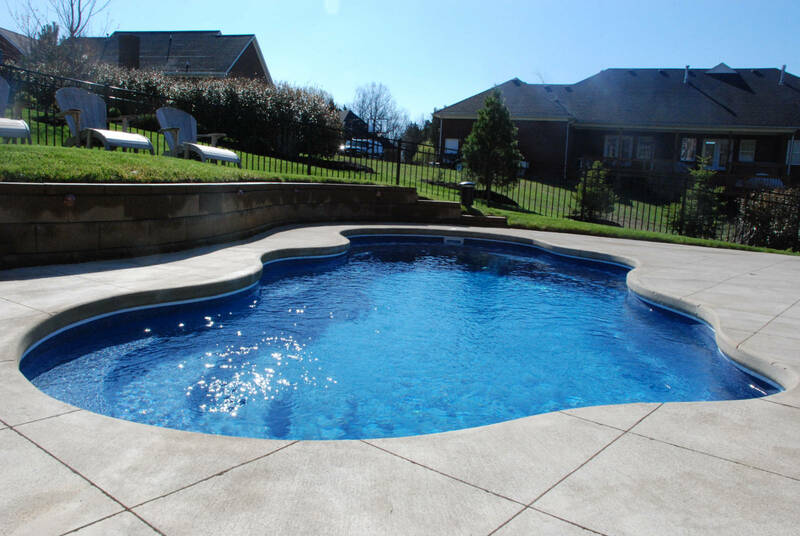 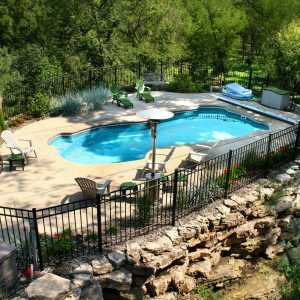 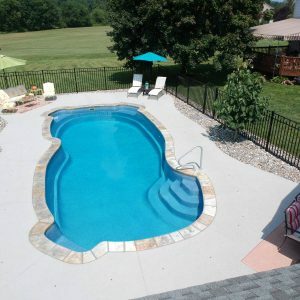 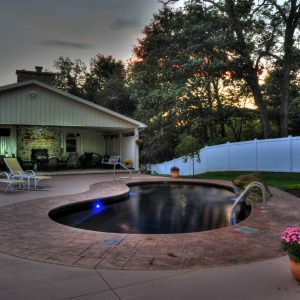 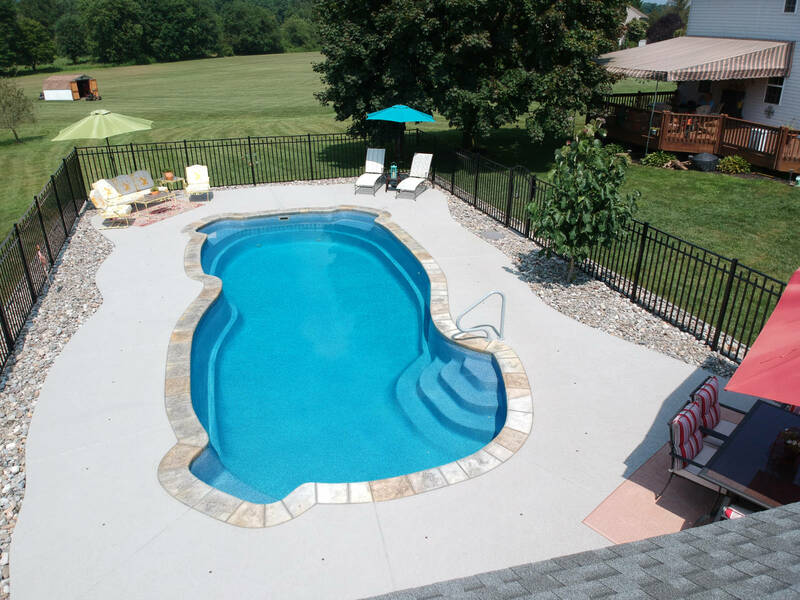 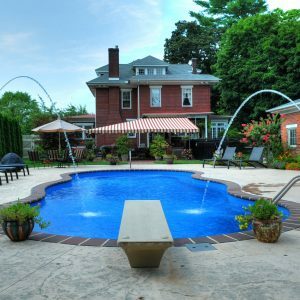 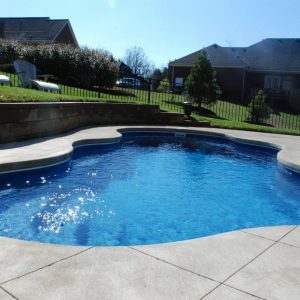 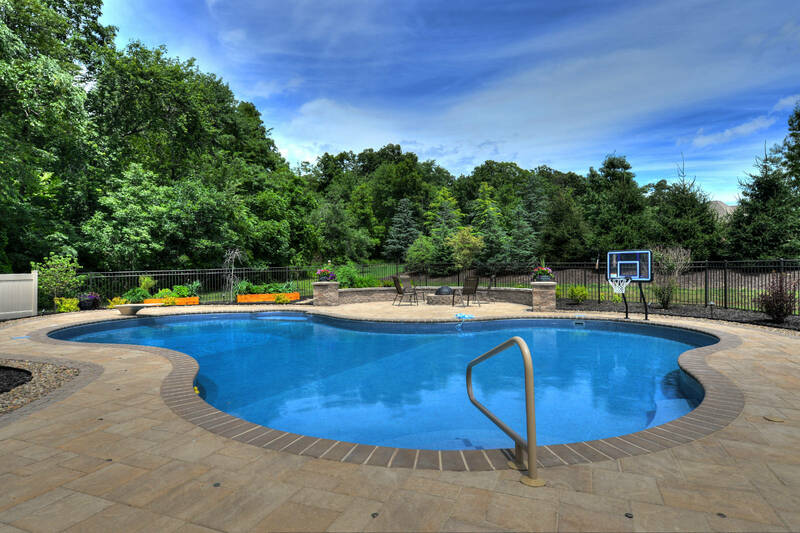 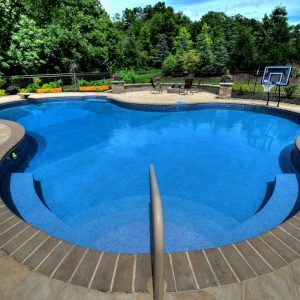 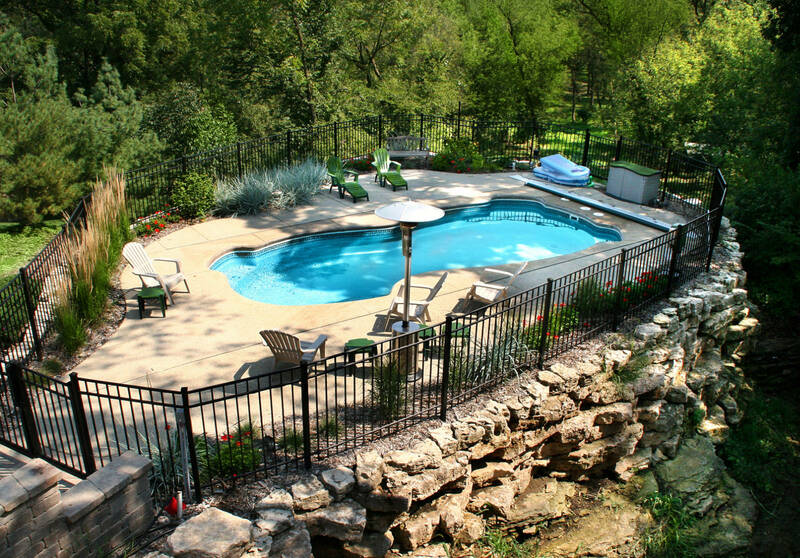 We build both vinyl-lined and fiberglass pools. 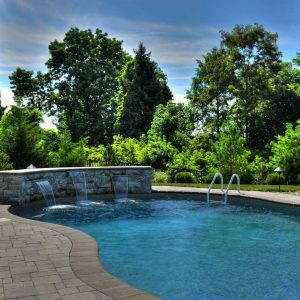 Waterfalls, fire features, pool bars, patios and an in-depth landscaping design are just a few of the elements we can create. 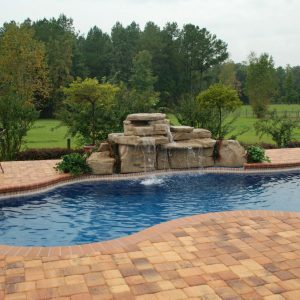 You can expect us to realize whatever you imagine with the utmost craftsmanship and integrity. 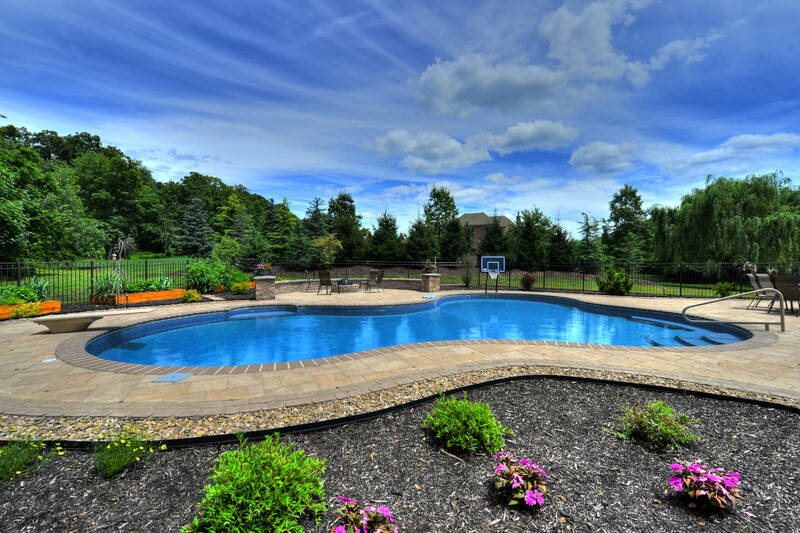 First we begin by understanding your family’s outdoor needs and desires. 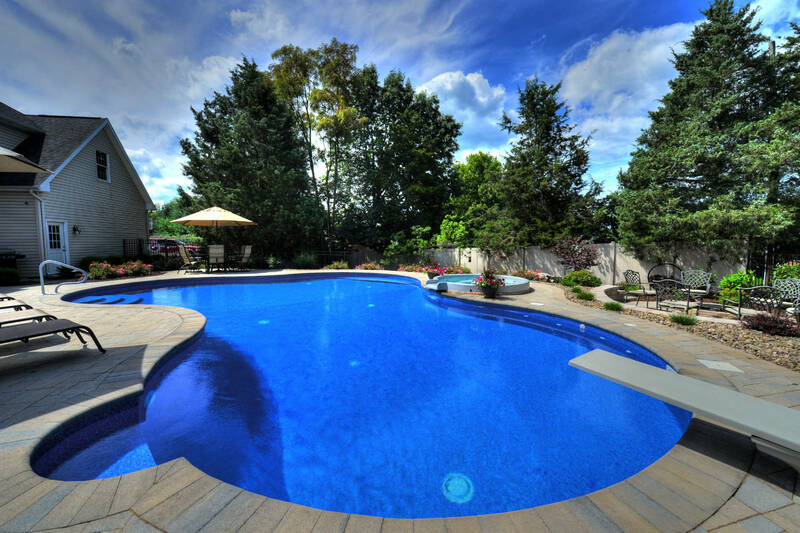 Then we study the space, considering sight lines and focal points to design the perfect pool environment. 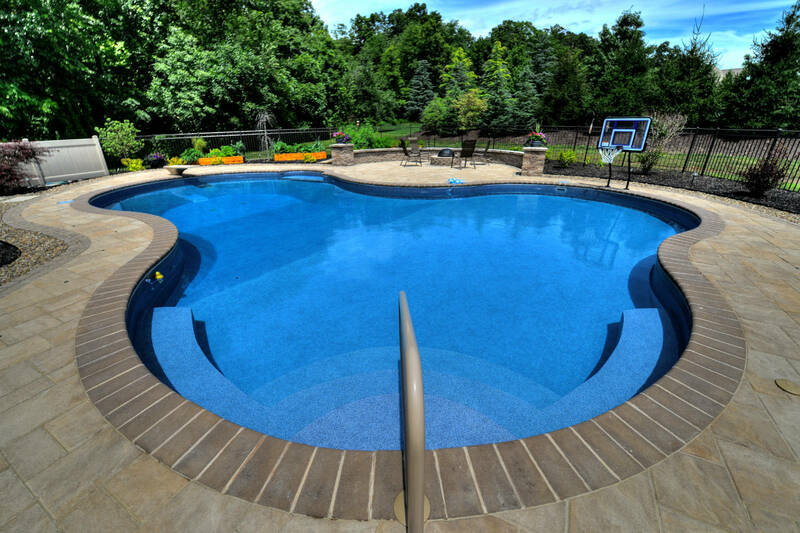 We consult with you about equipment and finishes, energy-saving devices and features. 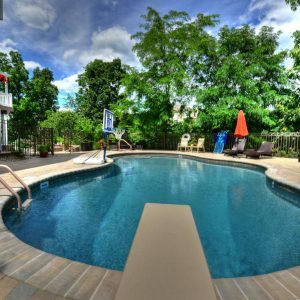 Before we begin construction, we’ll give you a virtual tour of your new yard so you can see, hear and even jump into your new pool–all before we start digging. 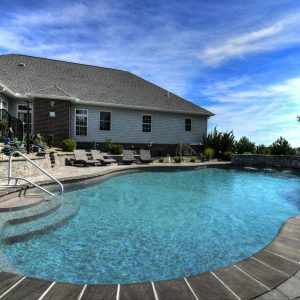 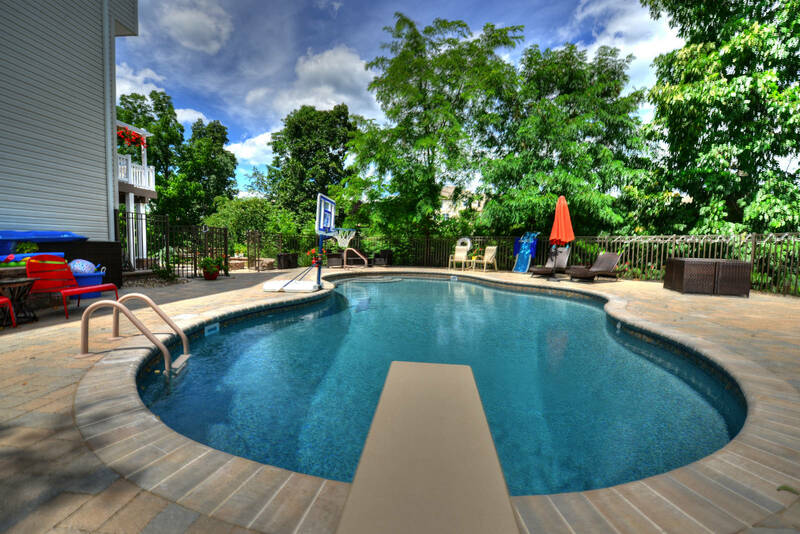 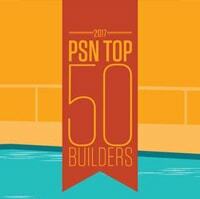 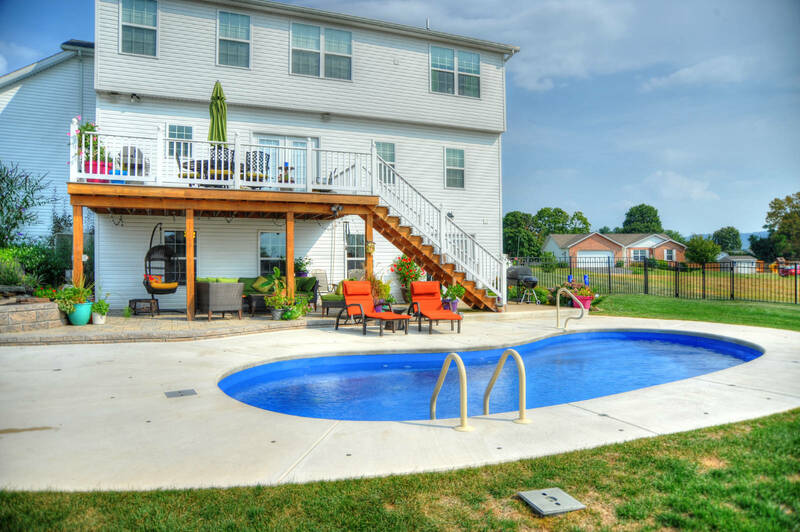 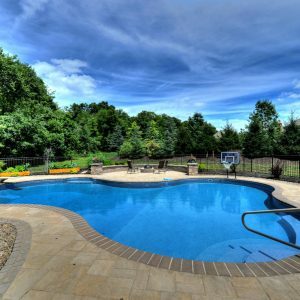 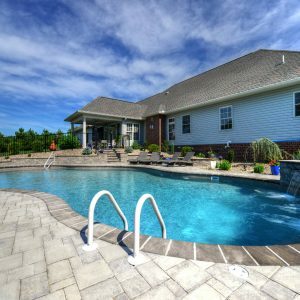 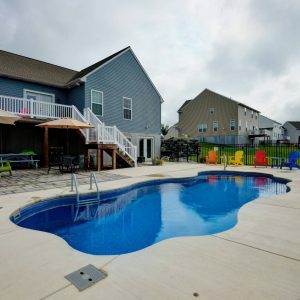 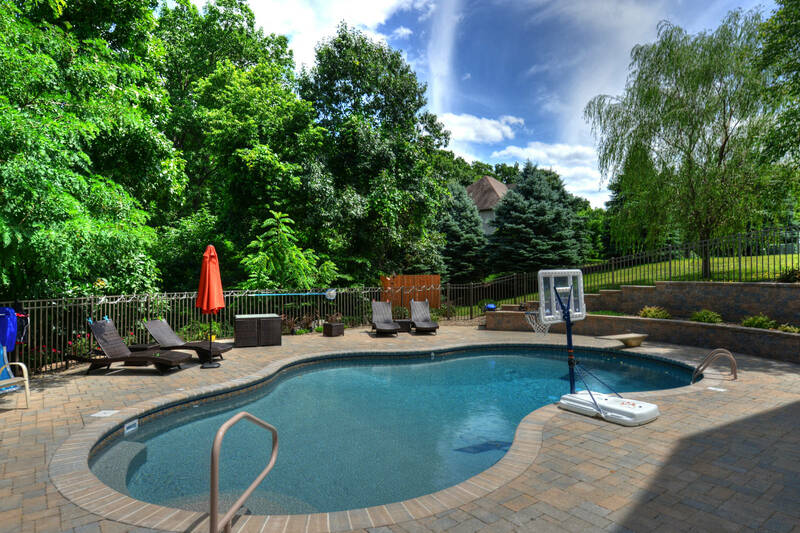 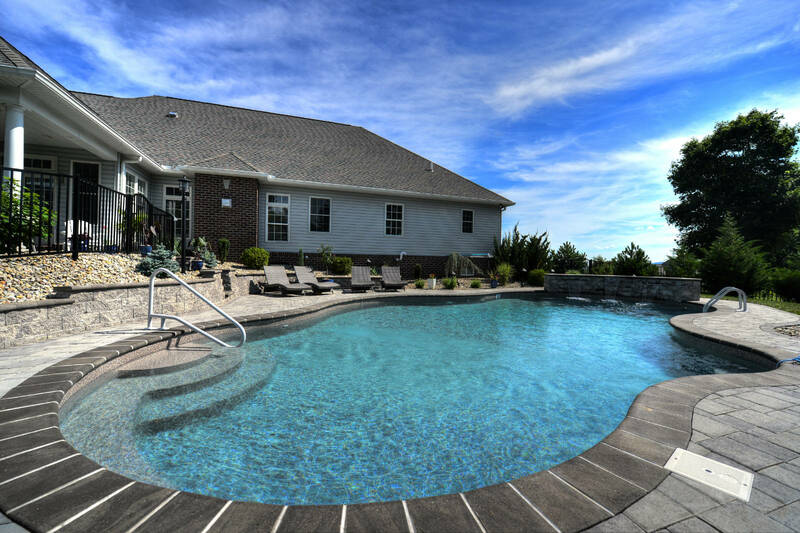 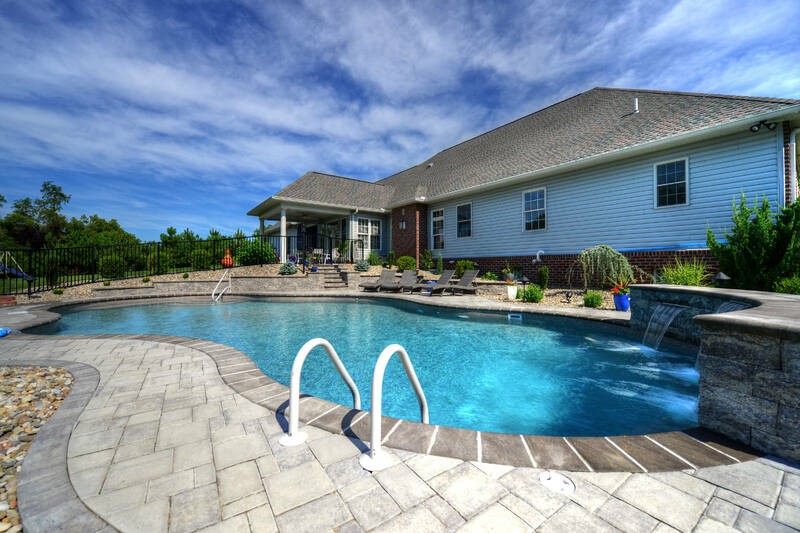 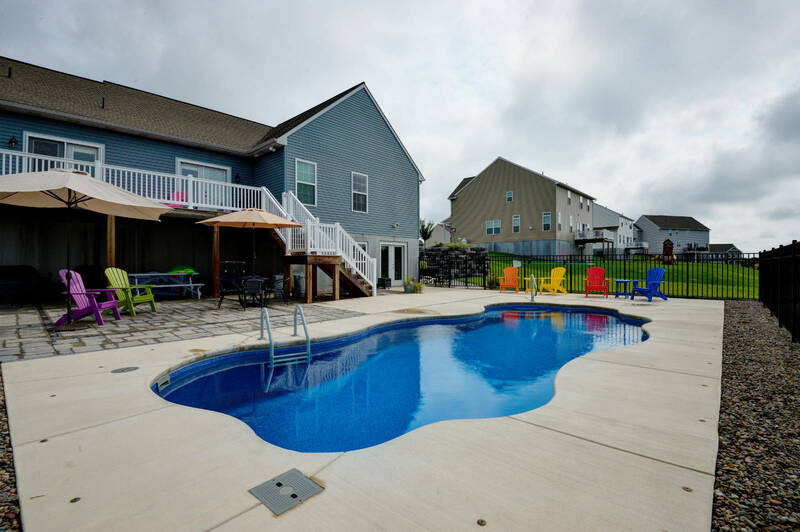 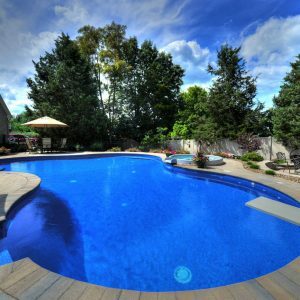 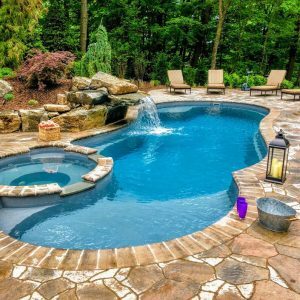 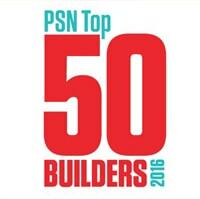 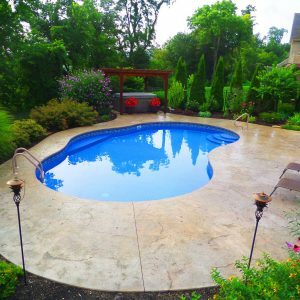 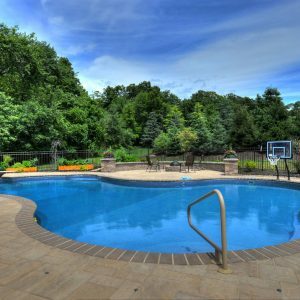 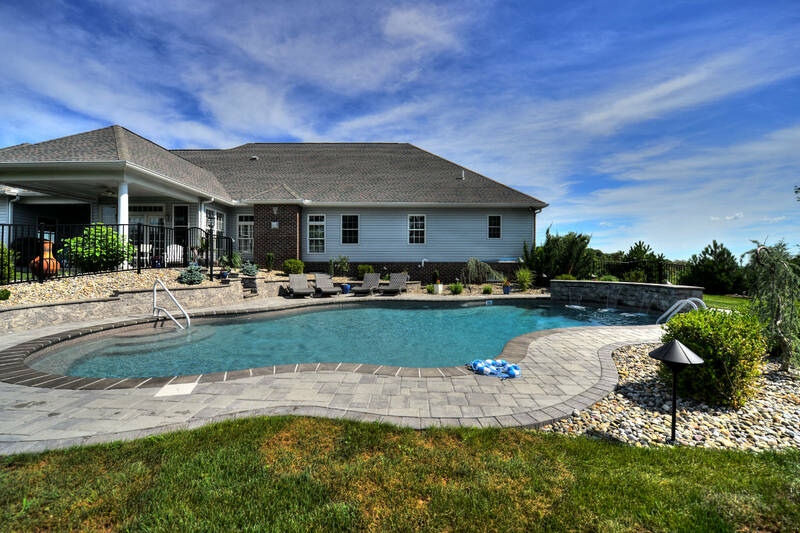 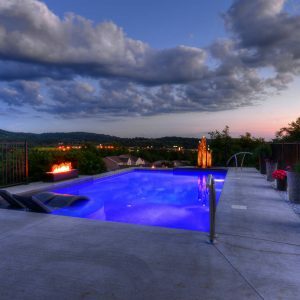 Want to view some of our pool projects? 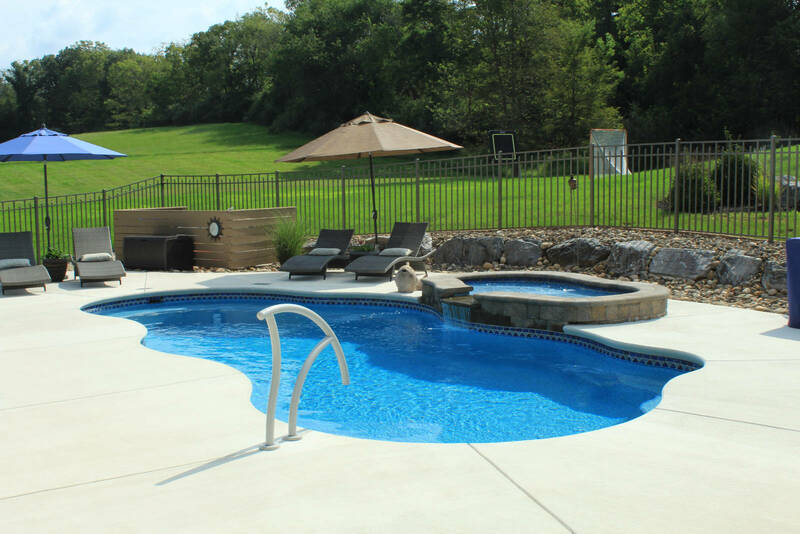 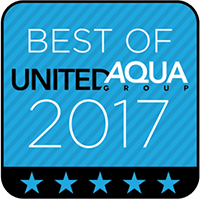 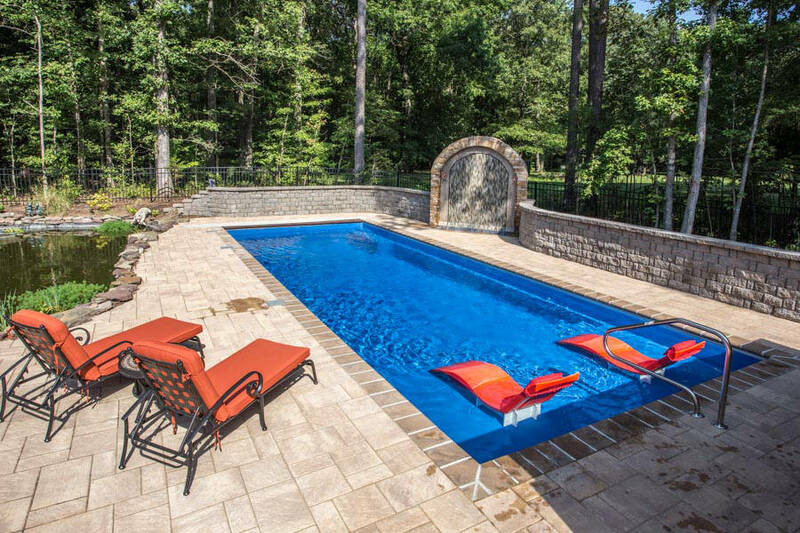 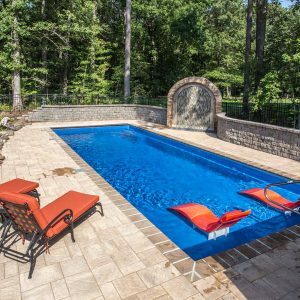 For those interested in fiberglass pools, Goodall Pools and Spas is proud to be a dealer for both Viking Fiberglass Pools and Trilogy Fiberglass Pools. 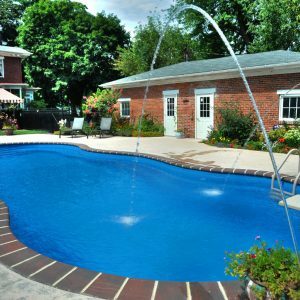 Both manufacturers are well known and recognized within the industry for their superior products. 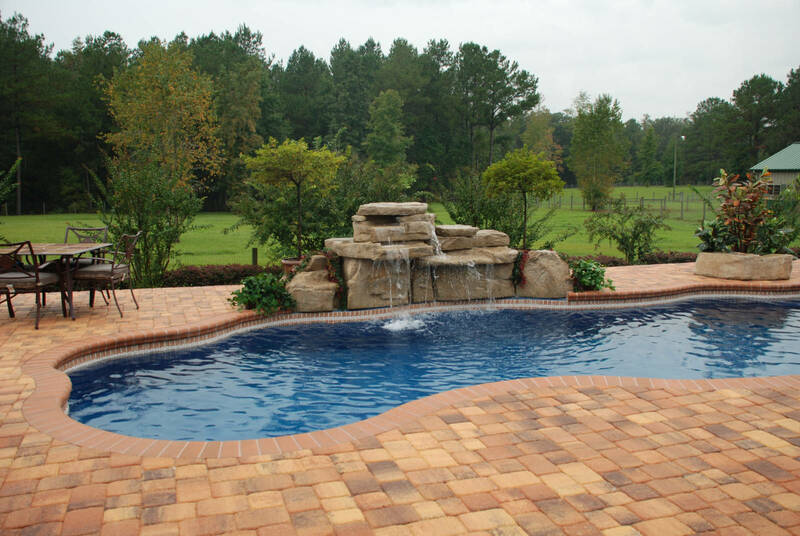 Hallmarks of these two companies include the strength and resilience of the shell, a wide variety of beautiful finishes, multiple options for tile and other features, many unique shapes and sizes to choose from, and un-paralleled warranties.